After 10 years of London life as a florist, providing flowers for weekly contracts and events, I now prefer being closer to nature in rural Hampshire. 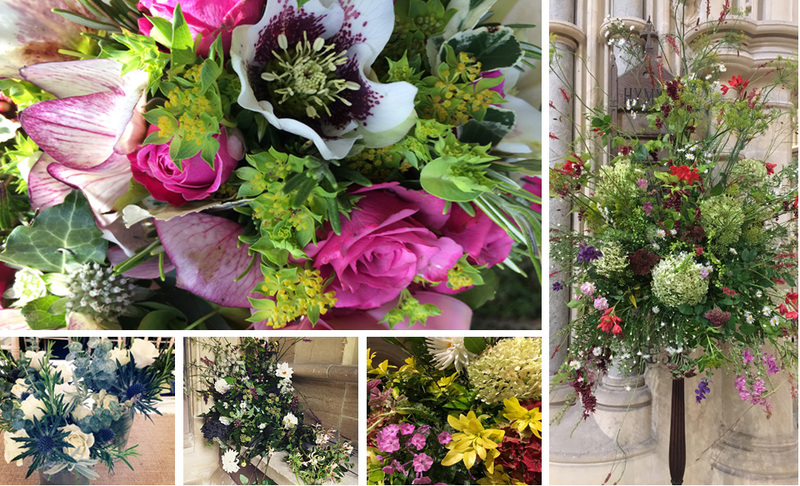 Nature inspires my designs, the scents, shapes and colours of the season guide me towards choosing beautiful flowers for each client. I love the graceful beauty of our British grown seasonal flowers and foliage. For bridal work, hedgerow and garden flowers give a snapshot of the current season. It nature’s way of reminding you to reminisce on your wedding celebration, or special birthday party every year. For more information please telephone or email me, thanks a lot, Libba. The Dorchester, Grosvenor House, The Grove, Pennyhill Park, Wilton Park, Somerly, Buckingham Palace, Hotel du Vin, The Gherkin, Browns Hotel, Highclere Castle, RAC Club, RAF Club, Intercontinental Park Lane, Millbank Tower, All Livery Halls of London, St Pancras Champagne Bar, Lords Cricket Ground, Vinopolis, Kew Gardens, Trinity House, Queen’s House Greenwich, Hampton Court, Royal Courts of Justice, Excel, RFU Twickenham, Banqueting House, Tower of London, Tower Bridge, Royal Hospital, Chelsea Physic Garden, Museum of London Docklands, Canary Wharf, Design Museum, V&A, Brompton Oratory, Forbes House, Dartmouth House, Houses of Parliament, Royal Horticultrual Halls, Wellington Arch, RIBA, to name a few. © eliza b flowers 2018. All rights reserved.